Filled with romance, rivalry, and passive-aggressive dog walking, Amy Spalding delivers a hilariously relatable story about how even the best-laid plans sometimes need to be rewritten. 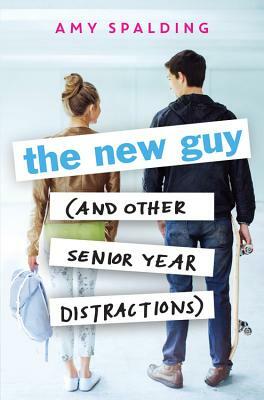 What's the only thing that could derail overachiever Jules's perfect senior year? Alex Powell--former member of boy-band sensation Chaos 4 All and newest transfer to Eagle Vista Academy. "Every Directioner's dream come to life. "Jules' hilarious dilemmas will appeal to every girl who's ever been thrown off her game by a crush (so, every girl). Amy Spalding writes endearing characters who stumble and soar in the most entertaining ways."